Yesterday, I woke up to a gorgeous. 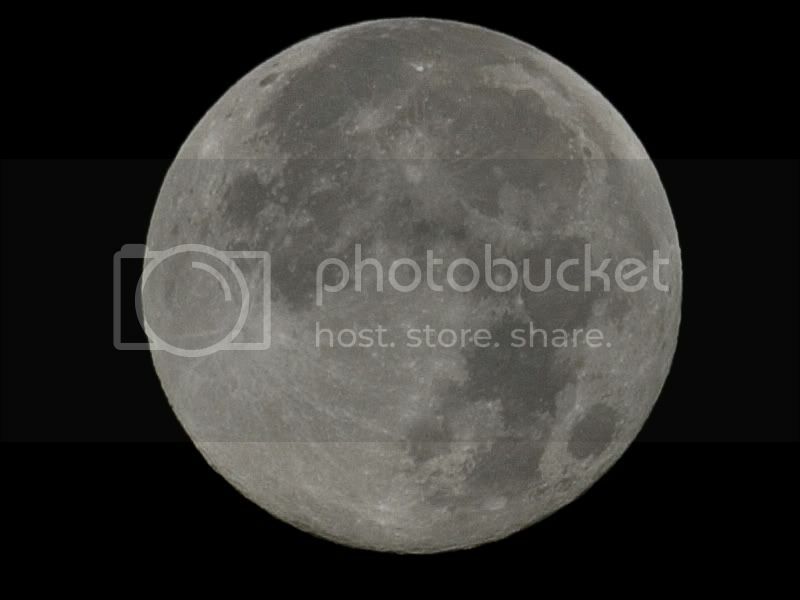 clear, full moon. So I just had to grab a shot of it before the sun came up. Taken with a 300D and 75-300 II USM with Tamron 1.4x sp TC. 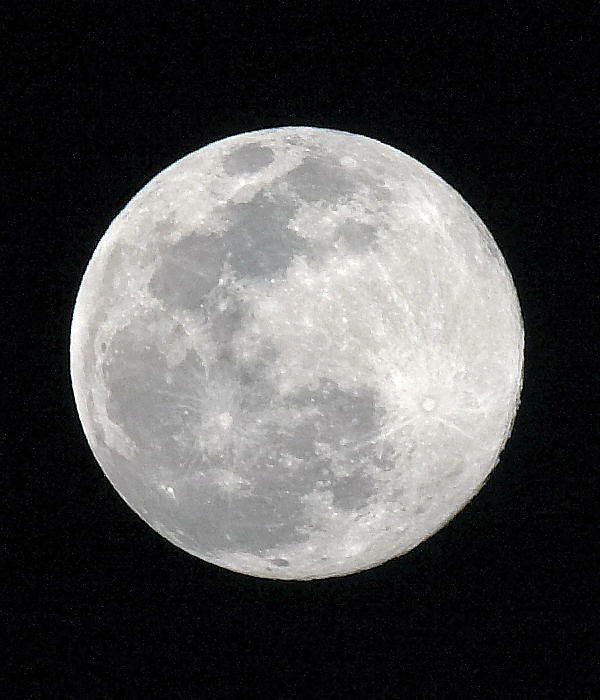 1/125, f11, iso 200, tripod. This is a 100% crop, no pp except for slight sharpening. I'm quite happy with it, considering the lens is not exactly one of Canon's sharpest.What do you think? While an OK image as is, a little work with Levels and application of smart sharpen in Photoshop CS2 goes give the same file a little more life. Yes, you are right. I tried doing it with a little less but couldn't quite get it to look like this one, shot with a 10D and 100-400 at 400mm, then cropped to fill the frame. Always better to start with a larger file.